Green Valley also offers dozens of new combinations to discover! - An unprecedented game rule: the closures of buildings. 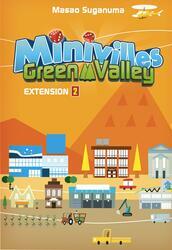 This expansion can not be used alone and can only be played with Minivilles game.